A twist on the traditional tooth fairy pillow! 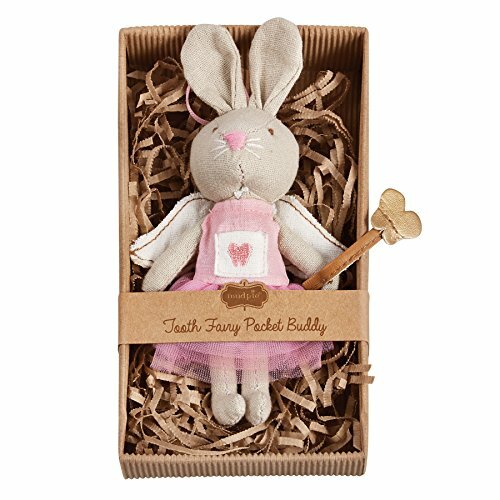 Mini plush and linen fairy bunny holds tooth wand and wears mesh tutu. Tutu features small pocket to hold tooth. Can be placed under a pillow or is the perfect bedside buddy; grosgrain ribbon attached to hang on bed frame.